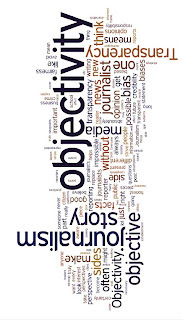 Squeaky Books: Discussion post: is objectivity important to you? Okay, I was thinking about this the other day when I was writing my Midnight in Austenland review. It was hard for me to write my review because I didn't love the book as much as her others(But that's not saying a ton. I still loved it), but that's not because the book wasn't good, it's because I wasn't good for the book. This book is hilarious. This book has a great mystery. This book shows wonderful growth in the self-confidence of a woman. How important is objectivity to you in a book blogger? By that I mean, do you want book bloggers to take their personal feelings OUT of their reviews? Do you want me to just analyze the book as a work of fiction; or do you like knowing that I, as someone with no experience with divorce, wasn't able to connect with it? And is there a spectrum? Do you think that sometimes it's good to bring personal stuff into a review, and other times it's unnecessary/inappropriate? I want to know! I can't say that your answers will make me change how I review, but it might make me change how I think. And feel free to leave a comment anonymously, just so long as you remain courteous. And I wrote this before you lovely people commented with your "great review! "s and Bloomsbury retweeted my review. So maybe my question is already answered. But I still want to hear from you! I just want a book reviewer to be honest. So personal feelings are fine. But so are objective views of the book. Honesty is all that matters to me--and honesty from the reviewer in whether the response is subjective or objective. I'm really glad you bring this up now, Enna. Especially after I saw Maggie Stiefvater's post today (have you read it? If not, I hope you do and see if that changes anything). I love Maggie as a writer and I love her books. I'm not sure I agree with her opinion today. I think biased reviews are still considered reviews. And I don't think bias in reviews is bad as long as its respectful and its explained (as you always do). Honesty is important as well. I just have a hard time seeing how one can review a book without their personal feelings and you're example above proves how hard that is. What are we left with? Bare bones that don't help the reader decide if they want to read the book or now. Reading books is an emotional experience. So why can't our reviews be emotional as well as long as they are honest and respectful? I'm like Heather Hoyt. I want the reviewer to be honest. And, for you, honest for Midnight in Austenland was that you couldn't connect because you had no experience with divorce. I like to read several reviews because there are reviewers that I connect with better than others. My parents are still married, but I've seen what happens with divorces (a couple of my siblings are, two of my nieces are, friends are, etc.) so I'd probably have a different take on it. And, hopefully, with several reviews you get the whole spectrum not just the reds or blues or yellows or whites. You cannot write an objective review of a book. The definition of an opinion is that it is subjective. Because you are a human being, you have a subjective perspective. But you in particular are good at explaining why you had a certain opinion about a book, and when that opinion is negative, you explain politely and usually with a suggestion for what types of readers might like the book better than you did. I read your blog because I like and trust your subjective opinions. If I didn't, I wouldn't mark every book you really liked as "to read" on Goodreads. The beauty of blogging is that it allows readers to find bloggers with similar taste and find books through them. I have more to say on this topic, so email me if you want to hear it. Well I think that all of our personal experiences in life whether good or bad help us relate to the story. I want Honest reviews and adding something more personal makes me understand how YOU got the book. For example I have some friends raving about books , but I don't get it. Maybe its the writing or I can't connect to the characters. Its Me and maybe this book isn't for me at this time..maybe later. I do enjoy the objective/subjective and emotional reviews..A friend recommends a book because they love it, and if I love then I will tell more people about my love for the book. That's not what I want to get in to. She can call a "review" whatever she wants, I think it's just getting into semantics. I'm going to focus PURELY on MY BLOG and how I interact with MY READERS, not authors or the world at large. *shudder* Because that is a dangerous place to tread, my friend. People are people, and some people are idiots. It's unfortunate that Maggie and many authors have been so assaulted by these "some" that they have kind of become jaded toward the "all." I NEVER write snarky, gif-filled reviewed because I believe those are unprofessional. But now I'm being told that I'm still bad just because I'm a book blogger (not that I'm saying this is what Maggie's post said, it's just kind of the opinion at large in some spheres). It's too bad. But it's true. People stereotype by race, even though there are plenty of successful black, hispanic, etc. people. Stereotypes aren't going away, and neither are those few crappy (and loud) book bloggers. But that's why us "good guys" have to stand tall and proud and not let things like this get to us. Authors are good people. Bloggers are good people. But all people can be a little misguided sometimes. And now I'm done. Seriously. No more. Personally, I think it's impossible to read a book objectively, since everyone brings their baggage with them to the experience. Thus, it's pretty impossible to not have a review colored by your opinions. Still, there are levels of objectivity that can be achieved - seeing that you have a particular fondness for an author and noting that makes your review more objective, in my opinion. Totally agree, Enna. I didn't even comment on her post. I just had no idea what to say and it was better to leave it. When I read that, I did mental double take. All of the reviewers I follow, personalize their reviews. How can we not? Ugh. But yeah. Enough. Lol! I agree with you, Melissa, as well. It's important to point out our biases if they're going to come across in our reviews. Melissa, I agree. I never want to be accused of being "sneaky" in a review. Or of writing a positive review just because I know the author. It's very important to me to make my bias known if I think it's going to affect my review in... dramatic ways. I used to get so frustrated with this concept. When I first started blogging and was blissfully unaware that anyone else even wrote book blogs, the whole point of my blog was my take on the book -- how it affected me as a person. In other words, completely and totally biased. Later as I started reading more blogs, I thought that was the "wrong" way to blog and tried to be completely objective. My reviews were stilted and dry. Now I am trying to integrate the two -- to help someone who isn't me judge whether or not the book is one they would like to read, but also to have a voice and share my own experience, because if I'm not sharing my experience, I don't care to blog! The whole reason it is rewarding to me is because it allows me to talk about my experience with books. I hope that helps people decide what to read, but if not... well, there are lots of more objective blogs for them to choose from. So I guess in a nutshell, I think a book review should have more than just what your personal reaction is, but I think if you keep it totally and completely objective, it is going to lack flavor and be boring to write. Sure, you have to take what every reviewer says with a grain of salt. But you have to do that anyway, right? I think it's best to be personal in a review for a personal blog or review site. I connect with the people behind the blogs, and I need to see their personalities shining through in order to maintain that connection. However, if I was a big-name book reviewer for a major news website or something, I'd be a lot more objective. I think there has to be a balance in it there is no way to be 100% objective with a book there is no way to put what you feel aside especially if you love love love a book you can't just sit back and thing rationally with no emotion in it at all. For my reviews such as Divergent, Forever, Nevermore, The scorpio races books I truly LOVE books that are my favorites and on the 5 star list I get hyper fangirl and emotional over them. When I start a review with a book that has touched me so I take a step back from it and with that hyper energy dierect it in an objective manner for example when I was explaining the story of Divergent I didn't go all fangirl squee but I didn't go all robot eaither as seen here" This is that type of story that when you put it down every cell in your body aches for you to have it in your hands reading it again. The writing is easy and smooth like other YA book before it and that is a good thing the world building is amazing and the way it is presented brings about questions for how we live now." To be fair, you can't be completely unbiased in anything. Your personal feelings are always going to cloud how you see something. When it comes to reviewing, though, I think it's important to note both impartial thoughts (excellent plot structure, character development) and how you connected to it as a person (loved this character, wasn't hooked on this), at least for bloggers. We're not professionals here - we're just having fun! Plus the second bit generates discussion about the book, which is ALWAYS fun. Very interesting thing to think about in light of all the recent hoopla, that's for sure. I like your opinionated reviews. You are honest, never mean, and even where our tastes differ, I can usually tell if I'll like a book by the reasons you give for rating it the way you do. I don't think it's possible for people to be completely objective, especially with books that we really connect with (be that connection negative or positive). Sometimes I hate books that other people love, but I can usually step back and see that my hating it is pretty good evidence that the writing is amazing. Does that make sense? And so, I don't rate or review the book. Personally, I often enjoy or don't enjoy a book based on my mood and whatever else is going on in my life during the same timeframe. If you take out those extra bits of personality that explain the behind the scenes, you take out the context I need to decide if I want to read that book, too. I think people read our blogs because they've gotten to know us and they often feel similarly about books. They like our review style, they like our blog design, they like our values, and or our quirks. Someone mentioned Maggie's post. I disagree with it. I agree with the girl who brought it up. I read different blogs for different reasons. A lot of the time, I prefer it when the blogger puts some emotion/subjectivity into their review. That obviously doesn't mean rudeness - I just like to know that the blogger is being honest! There are other blogs I read (Stacked is a favorite) because they are so darn eloquent in their objectivity. So- It is impossible to be objective about anything. Like, legitimately, impossible. Even saying- I liked this book, or I did not like this book, is a subjective opinion. There IS no way to be objective. However, there are different levels of bias and objectivity/subjectivity. And, if a life experience of yours has strongly clouded or influenced your opinion of the book, I think it's COMPLETELY okay. BUT it's nice to HEAR about that in the review. Not a detailed explanation of what exactly in your life made you think that way, but a simple sentence of- I've had some experiences in my life that I KNOW have altered the way I experienced THIS part of the story. Or something like, Other people will experience this, or feel differently about this, because I feel that your interpretation will be strongly influenced by your life experiences. So, if you are going to be EXTRA subjective, let us know. But other than that, I read review blogs because I want to know what YOU thought and how it affected YOU. Not because I want a dry analysis of whether the author uses their prepositional phrases correctly. When I form an opinion about books, it's not because the author has great grammar, it's because of how the book made me FEEL. So, ya. I most certainly want that from other people when I read their reviews. But I'm still glad that you bring this up. I come to Squeaky Books to look for books that are appropriate for my standards and what I will allow myself to read. Because of who you are and what your personal standards are, you sort of have to put your opinions in. I think personal thoughts are just as important to analyze as plot structure or character development. Not all book bloggers are like you, so there will (of course) be different opinions of the book. Your blog is unique because of the kinds of things you put on there. Stating why you do the things you do and what you think the book brought to the metaphorical literature table is really important (I think) ! Phew! That was a lot. Hope you made it through. Thanks for the thought-provoking post, Enna!! I think I like a balance when it comes to objectivity. In many instances, I don't think a blogger taking their feelings out on a book is necessary. But, what if a book strikes a certain cord with a blogger? What if it left a lasting mark? Then I want to hear about it. Also, recently I read a review where the blogger argued that a certain book she read was anti-feminist, and that this piece of work was detrimental to the feminist movement. When it comes to issues like that, I welcome blogger's reactions. 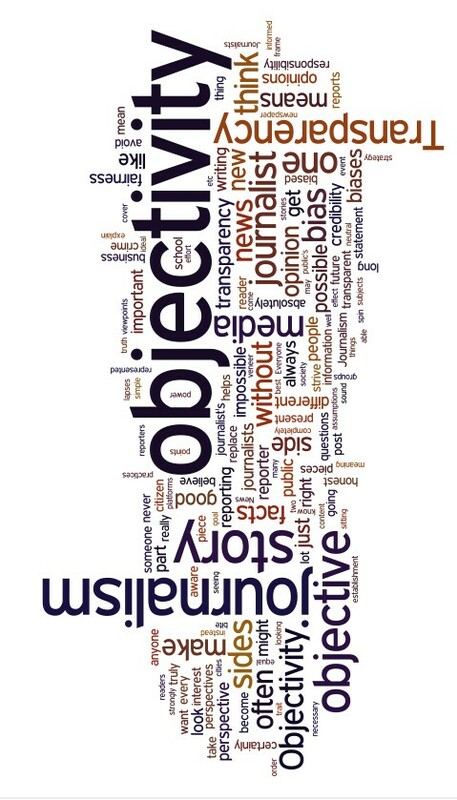 As to your question, Is objectivity important to you? Of course my answer is yes. However, reviewers have their own criteria, views and reactions to every book that they read. It's important to give honest not malicious reviews. Anyway, these books will be read by different kinds of people and different reaction is expected. A good or bad review obviously will give an impact to the book and author. Sometimes even if a book gets a bad review but the reader likes the author, still it's a sale. I prefer reviews to be honest. If you can't relate to a book, say that and then tell me why. Perhaps as a reader I will have trouble relating to the book for the same reasons. I like seeing reviews that bring in their personal experiences--it tells me a lot about the book because you are revealing insights that don't necessarily come out in a review. As long as the review is respectful and honest that is all that matters. As others have said, it's pretty much impossible to be objective in a review. (Anyone who says otherwise is silly.) What makes a review good is how that perspective is explained and analyzed, in terms of how it colors your thoughts and feelings on the book. There are plenty of people who have no experience with divorce and might thus find your review far more valuable with that input. This is also why we like sites like GoodReads and Amazon -- because there are MANY reviews with MANY perspectives that we can use to figure out whether or not we might like a book too. At the end of the day, though, everyone is unique -- a completely different combination of Nature and Nurture -- so no two people are going to read and react the same way. Reviews are only meant to help steer people in the right direction. They are not the Be All and End All of anything. I like personal feelings and opinions lots (and along the same lines, I read for character rather than plot). I like that you include personal feelings in your reviews. You know that you aren't going to love every book you read, but that won't stop others from loving the ones you don't. Objectivity is nice in Lit essays, but there's no reason you have to be objective in your reviews. I LOVE when people get personal in their reviews! In fact if people are too objective then I honestly don't find those reviews all that informative. If I wanted to know what the book was about I would just read the summary. :P It's when people are conversational and really let their own opinions and voice shine that I end up finding out whether or not a book is for me. It's like a Taylor Swift song. People like them because they can relate to them. If I can't relate to the reviewer or their review then I'm gonna be less likely to be interested the book and the person's blog.